Alan Hodges, an Extension scientist in the Food and Resource Economics Department at the University of Florida Institute of Food and Agricultural Sciences (UF/IFAS), believes that natural disaster recovery systems must be upgraded. Hodges serves as Extension coordinator in the department and as director of UF’s Economic Impact Analysis program, which conducts sponsored projects for industry organizations and government agencies. According to Hodges, one of the things that Extension agents have been doing for a while is providing rapid assessments of the damages from natural disasters like hurricanes, freezes, wildfires, tropical storms and tornadoes. Throughout Florida, the agents make observations of the damages with their grower clientele and fill out flash reports. Flash reports get submitted to the U.S. Department of Agriculture’s Farm Service Agency and then forwarded up the chain to the Secretary of Agriculture to make a disaster declaration. The IFAS Extension agents have been providing that kind of information to the Farm Service Agency for many years. 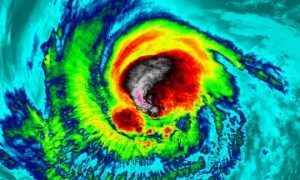 During Hurricane Irma, it became clear that there was a lot of repeated efforts being made. Some agents were doing their surveys in the same counties and providing the same information, and there were also Farm Service field agents and others who were doing the same thing. Sometimes the information was inconsistent, which led to a lot of confusion. The hope is that the new survey tool will help Extension agents collect information in the field and allow them to compile and analyze the data more rapidly so that disaster declarations can be made by the Department of Agriculture in a more timely fashion.